Incredible new video training series teaching you everything you need to know to film, edit and upload your first vlog or video. The course contains step-by-step training videos and teaching you how to film, edit and upload your very own vlog. See how I capture epic b-roll, learn how I add music to bring my vlog to life and learn how to add promotional ‘end slides’ at the end of your vlog. 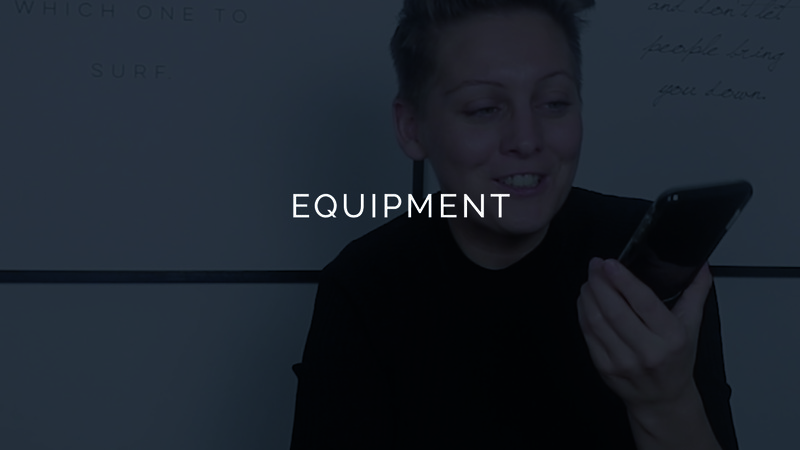 Brand new ONLINE COURSE teaching you how to film your first vlog series using your smart phone and iMovie (Mac) or Filmora (PC)! With everything you need to know in order to film an epic vlog and start sharing your story online. I really want you to start vlogging. It’s fun, it’s challenging and it’s a great way to build meaningful connections with your audience, spread your message and change the frickin’ world! This is a step by step online course and I’ve filmed it just for you! Learn how to film your first ever vlog series from scratch! I’ll show you how to plan your vlog, how to capture your content and how to make a professional looking vlog you’ll be PROUD TO SHARE. Learning a new skill can be daunting. That’s why I’ve broken it down step by step and included a bonus section with some of my top HACKS to make your vlog look even better. Vlogging is great fun and it can have a dramatic impact on your business. Plus, the skills you’ll learn in filming video footage and editing in iMovie are transferable for all kinds of video production! Learn how to use iMovie or Filmora from scratch! Learn how to capture professional looking footage without the professional equipment! When you sign up, you get full and lifetime access to the vlogging course. You can access it on the go and complete it at your own speed. This is a fully online course. You can tune into the video training in your own time and in the comfort of your own home. Or, watch the videos during your commute or during a break at work. You have full access to the training course and you can complete it in your own time. Please note: you’ll require an iPhone or smart phone to film your own vlog footage and you will need the desktop / lap top version of iMovie or Filmora in order to benefit fully from the training. When you join the course, you’ll get access to the private Facebook group for the course. It’s the perfect place to share your early vlogs, ask questions and test out your new ideas. Plus, Lisa will be sharing challenges each month to help you develop your skills! New bonus content will be added regularly, including this new video teaching you how to get over your fear of public speaking so you can start filming your own epic vlog content. Ask Lisa your technical questions! There is an exclusive forum in each training video. If you have any questions about the training or if you get stuck, leave a message and Lisa will answer you personally! I love vlogging! Having filmed nearly 200 vlogs now (and have watched a lot more) so I thought it would be useful to introduce the concept of vlogging to you and share how to think about your first vlog series. So, in this video, find out: What is a vlog and how long should it be? What are the different types of vlogs and which style is right for me? How to approach your vlog in terms of your tone and energy? When should I start and how long should I vlog for? 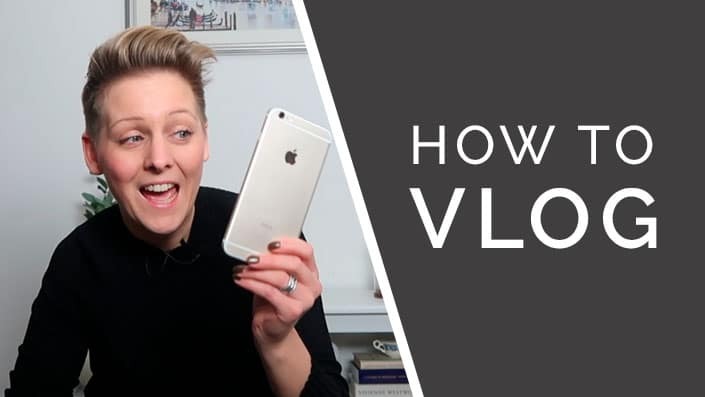 To get started as a vlogger there are only two things you need: an iPhone (or camera phone) and iMovie (or similar video editing suite). 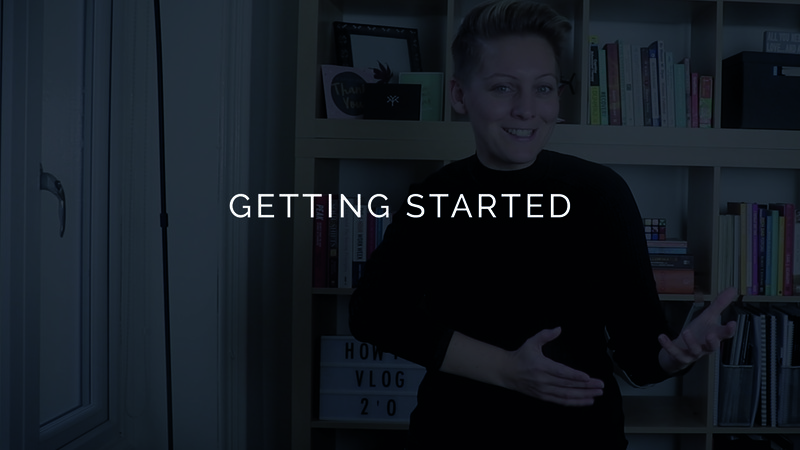 In this video, I’m going to set you a very important challenge to get you started as a vlogger. I’ll also talk you through the next two levels of camera equipment you might invest in as you go on your journey as a vlogger. How vlogging can help you make a living online! 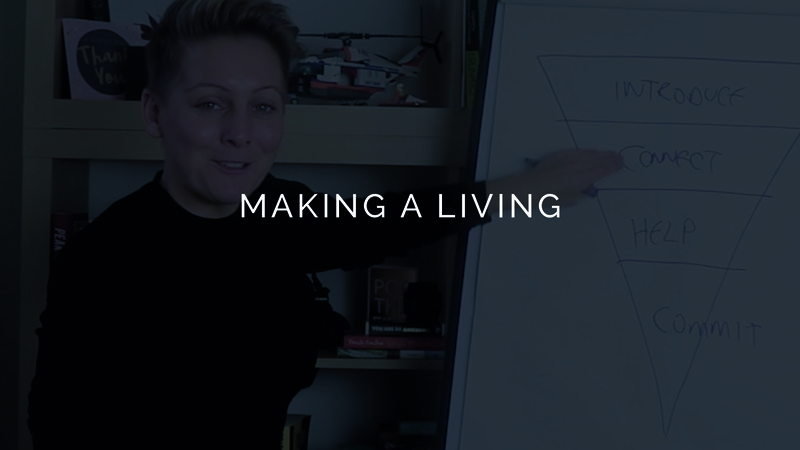 In this jam packed power video, I’m going to share a major secret with you: an incredible and proven model for making a living online. I’ve used this technique to sell out events and online courses, recently completing a £27,000 course launch of my flagship online programme. In this video, I’m going to share with you a PRO TIP that took me 121 vlogs to figure out! And it’s to do with how I store, manage and sort my video files before I even import them into iMovie / Filmora. Plus, I share with you how to import your video files to iMovie / Filmora safely. ‘B-roll’ is that magical ‘secondary’ footage that brings a vlog or movie to life. 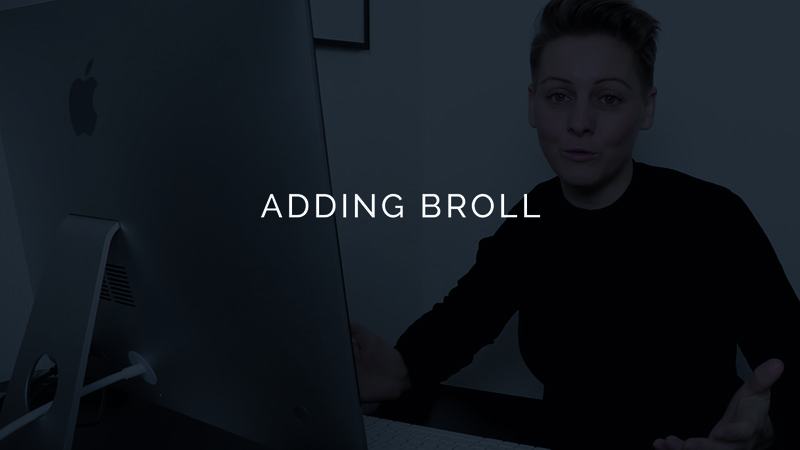 Adding good quality b-roll gives your vlog a really professional and cinematic feel. You’ll learn how to do this in this part of the training. Music brings a vlog to life! 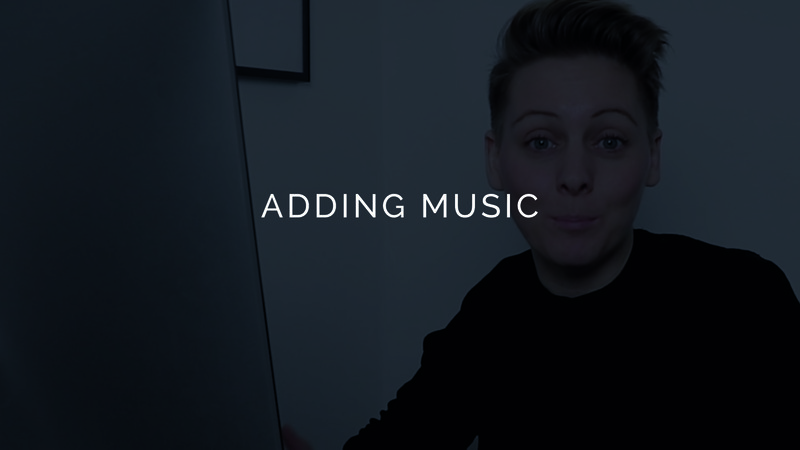 In this video, learn where to source your vlog music and how to add it for maximum impact! 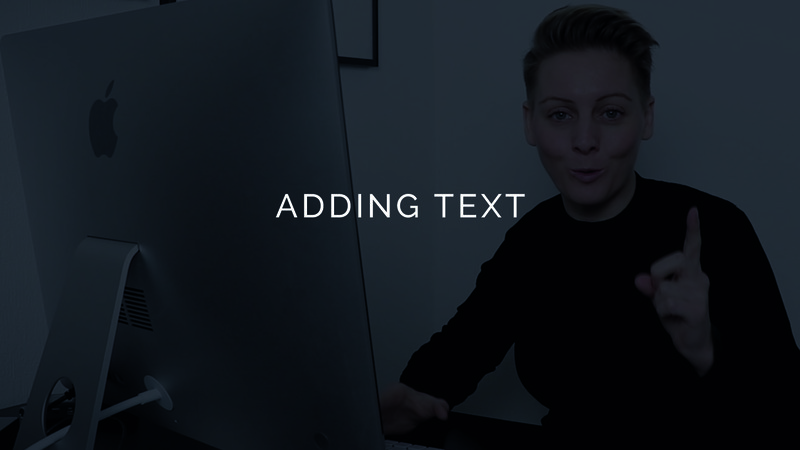 In this video, learn how to add text to your video (such as DARETOGROW TV) and how to add an ‘end slide’ promoting a link or page on your web site. 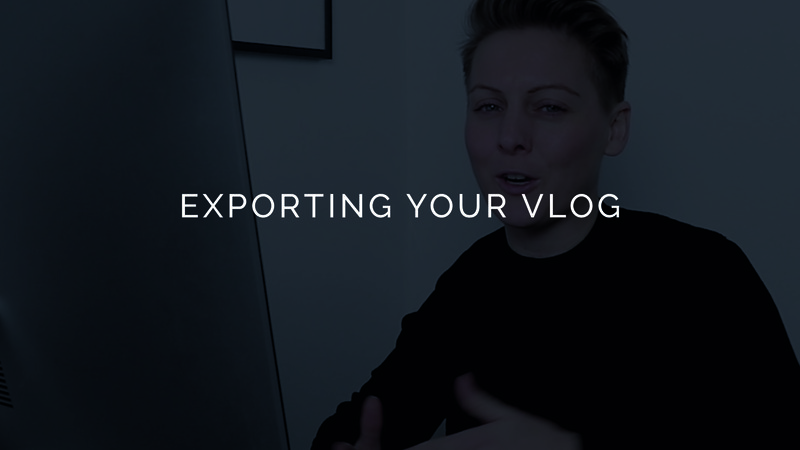 Find out how to export your vlog and generate an MP4 file, ready to upload to YouTube and Facebook. 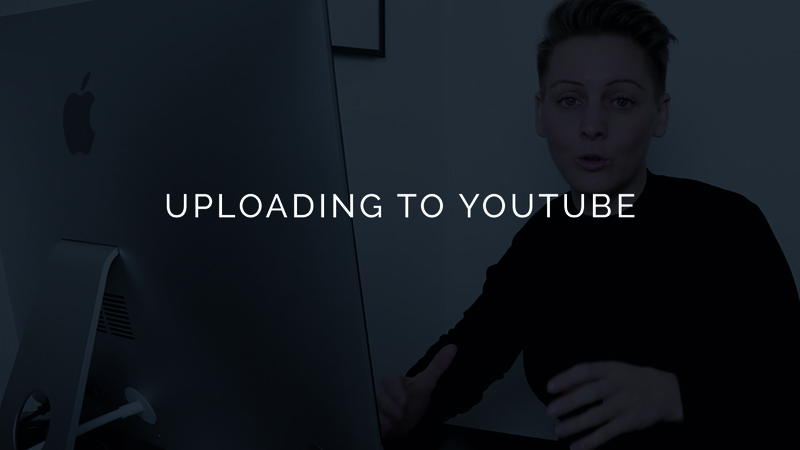 Learn how to upload your vlog to Facebook and YouTube, ready to share and promote online. I don’t have an iPhone. Can I still join the course? Yes absolutely. As long as have a camera, smart phone or camera enabled phone. It doesn’t need to be an iPhone. As long as you can capture video content on a device you have then you’re good to go! For example, you might use a Samsung phone, an Xperia phone or even a Go Pro or ‘point and click’ camera. Can I use the mobile (app) version of iMovie? Yes indeed but you won’t have access to all of the iMovie features and a few of the ‘hacks’ and pro tips in the training won’t apply, such as how to organise and store your video content for the future. I would recommend using iMovie on a desktop or downloading a similar free movie editing software, such as Filmora. It’s a lot easier to move the footage around on a lap top or PC and you get access to more features. Absolutely not. When you sign up, you get lifetime access to the course, including all updates to the training and any new bonuses that are added to the course. There is no rush to complete it either. It’s all online and you can log in at your own pace to watch the training videos and complete the exercises. Will the course help me if I want to make an ‘about us’ video for my web site? Absolutely! The principles are the same. In this course you will learn how to capture great video content and edit it using iMovie. 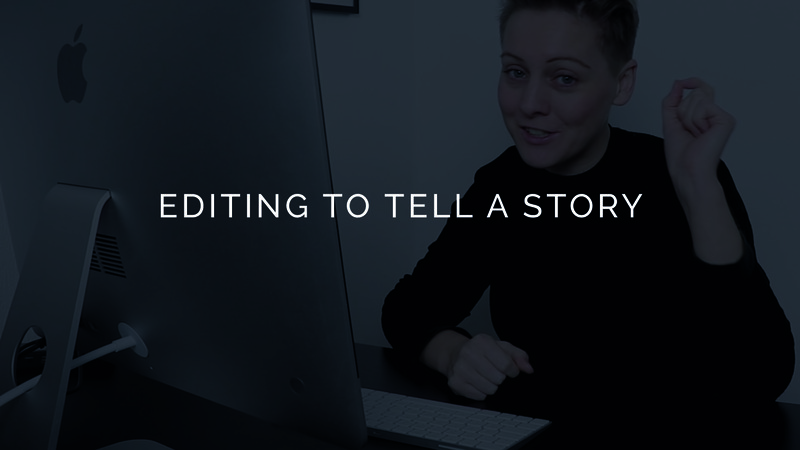 You’ll learn how to cut clips, add music and even add text to your video. In the training, I show you how to edit a vlog live but the training is applicable to any kind of video. I’m not very technical. Will you help me if I get stuck? Yes indeed! I really want you to give this a go and start making videos. If you get stuck, post a question underneath that particular training video and I will answer you within 48 hours to help you out!